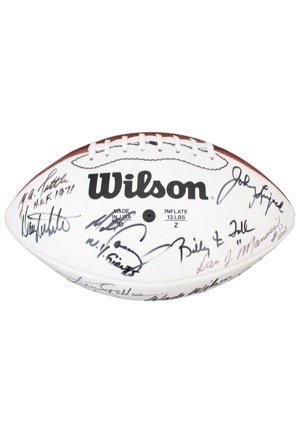 Wilson manufactured official NFL white panel football loaded with signatures. 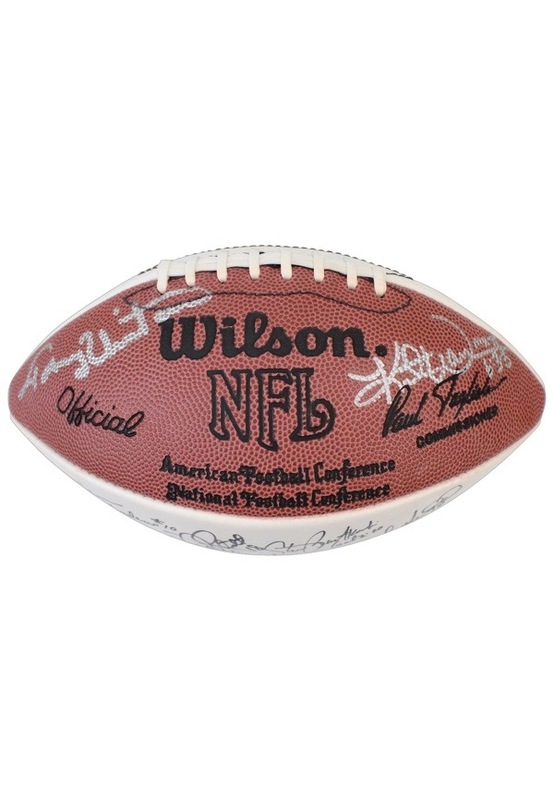 The signatures are highlighted by George Blanda, Y.A. 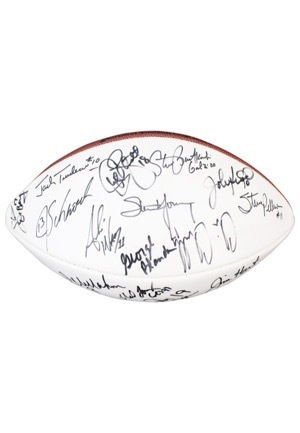 Tittle, Ken Stabler, Troy Aikman and many others. 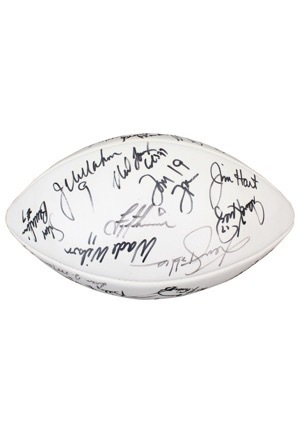 The signatures are done in black and silver marker and in our opinion the signature rate between 7-9. 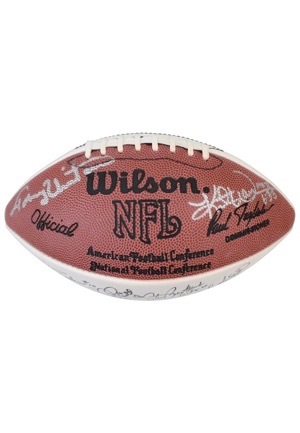 The ball holds air. Accompanied by a LOA from JSA.